Just because an accident occurs does not mean that there is another party that is liable for damages. 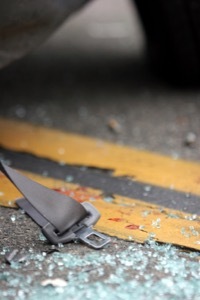 It is required that a plaintiff prove by a preponderance of the evidence that another driver was negligent in the operation of their automobile before he/she can collect damages for injuries sustained in the accident. 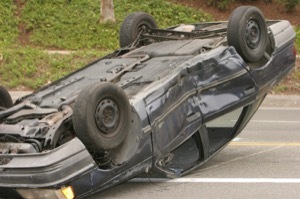 An experienced car accident lawyer can prove to the jury that the other driver was negligent. For example, when the driver of a vehicle is faced with a sudden emergency not created by the driver's own conduct, the driver must use reasonable care for his/her own safety and for the safety of others. The driver is not required necessarily to use the same degree of care that would be required by a person not faced with an emergency. Examples of situations where the sudden emergency doctrine could possibly apply depending on circumstances are an imminent collision with an animal, approach of an emergency vehicle, brake failure, sudden medical emergency. Whenever, the doctrine of sudden emergency is used by a defendant, it is important that you have an experienced automobile accident lawyer represent you in order to show the jury that the sudden emergency doctrine does not apply in that particular case. A driver of a motor vehicle must use reasonable care which is often described as that degree of care and attention which a person of ordinary skill and judgment would use under similar circumstances. Reasonable care usually depends on the facts and circumstances of each case. For example, one must use reasonable care to keep their vehicle in good operating condition and properly equipped. A driver of a motor vehicle is required to pay full time and attention to their driving, maintain a proper lookout for what is able to be observed and obey the rules of the road. They are required to use proper directional signals. Under certain driving conditions, such as bad weather or difficult road conditions, the precautions that a driver must use may vary. There is a heightened awareness required when crossing an intersection, particularly where pedestrians are nearby or there are traffic control signals or signs at the intersection. Maryland has adopted a standard of care that is called the boulevard rule for certain situations. Essentially, this means that certain roads are given the status of a favored road. In this case, the driver on the favored road is the favored vehicle and the driver on the unfavored road is the unfavored driver. Under these circumstances, the unfavored vehicle must yield the right of way to the favored driver provided that the favored driver is operating his/her vehicle lawfully. The boulevard rule provides that the driver on a through highway has the right of way over the driver on the unfavored road. The favored driver may not be given preference if he/she is proceeding in an unlawful manner. One of our Maryland car accident attorneys can explain the boulevard rule as it may apply to your case. There is also a theory of liability in the law known as negligent entrustment. If an owner supplies a vehicle to another person to drive and who the owner knows is likely, because of age, inexperience, physical condition or otherwise, may use it in a manner involving unreasonable risk to others, the owner may be responsible for damages incurred in a resulting accident. Thus, if an owner allows a known intoxicated person to drive the owner's vehicle, the owner might be held responsible for the damages incurred as a result of an accident caused by the intoxicated person's negligent driving of the vehicle. Similarly, if a business owner allows an employee who has a prior driving record that is replete with accidents caused by him/her, the business may be responsible under this or a negligent hiring or negligent entrustment theory. Again, this is an area of the law that should be investigated by the experienced automobile accident attorney if the case merits such investigation. The legal information on this site is not intended to be legal advice. Contact one of our experienced automobile accident attorneys or lawyers today to get specific information and answers for your specific situation.